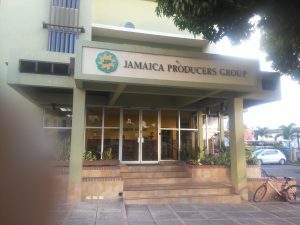 Jamaica Producers Group and Wisynco Group entered into an agreement that see the transfer 30% of the shares in JP Snacks Caribbean (‘JP Snacks’) to Wisynco Group. JP Snacks Caribbean is a holding company that will own the “JP St. Mary’s” brand and JP’s tropical snack manufacturing operations in which JP will hold the remaining 70 % percent of the shares. manufacturing and importantly, their best in class distribution network. The transaction values JP Snacks at $2.4 billion and sees Wisynco investing $720 million for a 30 percent interest, a release from both companies stated. The release further stated that “the business will seek to strengthen distribution in existing markets in the USA, Canada, the Caribbean, the UK and Central America, in addition to seeking new markets. 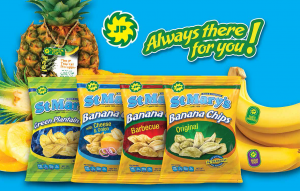 JP St. Mary’s snacks will continue to be the flagship product line of JP Snacks through its banana, plantain, cassava and breadfruit chips, as well as similar product lines for the Spanish language markets. Jamaica Producers to introduce a new line of banana chips. Holland, Belgium, Scandinavia and other markets in Northern Europe. Through its Tortuga International subsidiary, JP Group operates a Jamaica- based bakery that supplies Tortuga Rum Cake to over 15 countries. JP Group’s logistics interests include Kingston Wharves, the regional multi-purpose port and JP Shipping Services based in the UK. JP also owns JP Farms, Jamaica’s leading banana farm, which is the largest private sector employer in St. Mary, Jamaica. Wisynco is the maker of WATA, CranWATA, BOOM Energy Drink and BIGGA soft drinks. In addition to its owned brands, WISYNCO is the exclusive local bottler for the Coca- Cola Company, as well as third-party beverage brands such as Squeezz and Hawaiian Punch and also distributes portfolios for Red Bull, Tru Juice & Freshhh, Dr. Pepper, Worthy Park Estate, Kellogg’s, General Mills, Nestle and others. 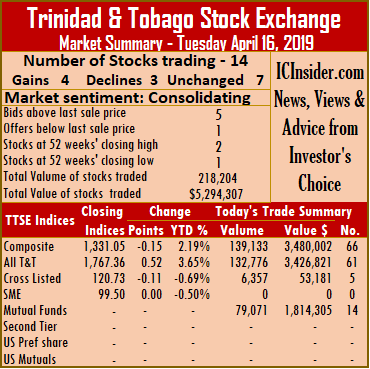 More dollars chased less stocks in trading on the Trinidad & Tobago Stock Exchange on Tuesday with 14 securities changing hands, compared 18 on Monday. At the close, investors exchanged 218,204 shares at $5,294,306, compared to 372,356 shares at $3,109,288 on Monday. The market closed with 4 stocks rising, 3 declining and 7 remaining unchanged. At the close, 2 securities closed at 52 weeks’ highs and 1 ended at a 52 weeks’ low. At the market’s close, the Composite Index slipped 0.15 points to 1,331.05. The All T&T Index rose 0.52 points to 1,767.36, while the Cross Listed Index declined 0.11 points to close at 120.73. IC bid-offer Indicator|The Investor’s Choice bid-offer ended at 5 stocks with bids higher than their last selling prices and 1 with a lower offer. At the close of the market, stocks ending with gains| LJ Williams B preference share rose 1 cent to end at a 52 weeks’ high of 90 cents, after exchanging 800 shares, Massy Holdings gained 91 cents and ended at $54, after trading 8,099 shares. Trinidad & Tobago NGL added 10 cents and settled $29.50, with 43,485 units and West Indian Tobacco closed with an increase of 5 cents and completed trading at a 52 weeks’ high of $98.80, with 505 stock units changing hands. Stocks closing with losses| Clico Investments lost 3 cents and completed trading at $23, with 78,671 stock units changing hands, Sagicor Financial ended 13 cents lower at $8.66, after exchanging 1,844 shares and Scotiabank lost 50 cents and closed at a 52 weeks’ low of $62.50, with 16,875 stock units changing hands. Stocks closing firm| Ansa Merchant Bank ended at $37, after exchanging 2,887 shares, Calypso Macro Index Fund traded 400 shares to close at $14.51, Guardian Holdings settled at $18.50, with 3,612 units changing hands. 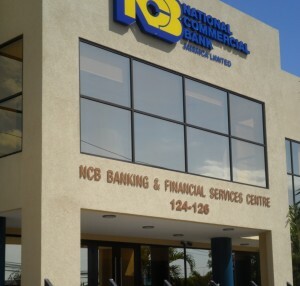 NCB Financial Group ended exchanging 4,513 shares at $8.25, Republic Financial Holdings closed at $120, after exchanging 1,152 shares, Trinidad Cement exchanged 49,394 shares to close at $2.60 and Unilever Caribbean ended at $26.30, after exchanging 5,967 shares. Trading income at PanJam Investment grew a strong 35 percent to $3.26 billion for 2019 while operating expenses rose just 7 percent to $1.7 billion leading to a 66.6 percent increase in operating profit of $1.55 billion, up from $938 million in 2017. The major contributor to the increase in operating income was a 151 percent increase in investment income to $1 billion, from $423 million in 2017. Share of results of associated companies contributed $4.7 billion to profit, compared with $3.9 billion in 2017. After taxation of $311 million and finance cost of $624 million, profit ended at $5.3 billion for an increase of 29 percent. Earnings per share rose to $5.06 for the year. The group saw growth in profit from Sagicor Group and Downing Street Fund 11 and V but suffered a loss at Chukka Caribbean with revenues falling from $4 billion to $3 billion. New Castle saw a reduction in profit even with an increase in revenues while Caribe Hospitality saw profit rising from $242 million to $271 million of which their share is 32 percent. PanJam holds equity investments worth $6.8 billion up from $2.4 billion at the end of 2017. The value of investment properties moved from $7.9 billion in 2017 to $8.4 billion and investments in associated companies total $26.3 billion. Total assets at the end of the year was $45.9 billion up from $39.4 billion in 2017. The group borrowed $10.6 billion at the end of 2018, up from $7.5 billion in 2017 and has equity of $34 billion. PanJam is in the process of upgrading the Oceana building in downtown Kingston to a combination of hotel and residential units slated for sale. There also plans for a business hotel in Montego Freeport in Montego Bay. The group stocks trades at $81 on the Jamaica Stock Exchange at a PE of 12.5 times 2019 estimated earnings of $6.50 and a net book value of $32. PanJam is a stock Investors should consider holding in the long term portfolio to benefit from growth to flow from expansion in the investment field and real estate holdings. Jamaica Sagicor Group reports increased 2018 profits. Financial statements are meant to be understood by users. As most readers are not likely to be trained in accounting, the statements should be prepared in a manner for the average user to understand. The latest audited financial statement put out by the Sagicor Group and audited by PriceWaterhhouseCoopers includes a profit statement that is a picture of confusion and extremely difficult to understand, that is just not good enough and it should be revamped, for greater clarity. It is just not clear how the statement moves from gross premium income through to investment income and then to total income. To determine what is being conveyed, one has to be fully conversant with computing of income statements and need to decipher what each line item really is and what set of figures relate to what item. The group recorded total income of $70.7 billion up from $69.7 billion in 2017. The major operation areas generated less income that in 2017. Insurance generated $9.8 billion in 2018 compared to $41 billion in 2017 while investment income fell to $24.3 billion versus $26.7 billion in the previous year. Expenses moved from $55.9 billion in 2017 to just $54 billion in the latest period to December 2018. The reduction resulted from a big decline in movement in actuarial liabilities from $10.7 billion in 2017 to just $2.3 billion in 2018. Reading the statement one has to guess whether the total cost is that of operating profit or expenses, as there is no caption to clarify. The report then ends up with profit before tax of $18 billion, up from $15 billion in 2017, but readers have to search to determine how the amount, was arrived at. After taxation charge of $4.2 billion versus $$2.9 billion in 2017, the group reported net profit of $13.9 billion against $12 billion in 2017. 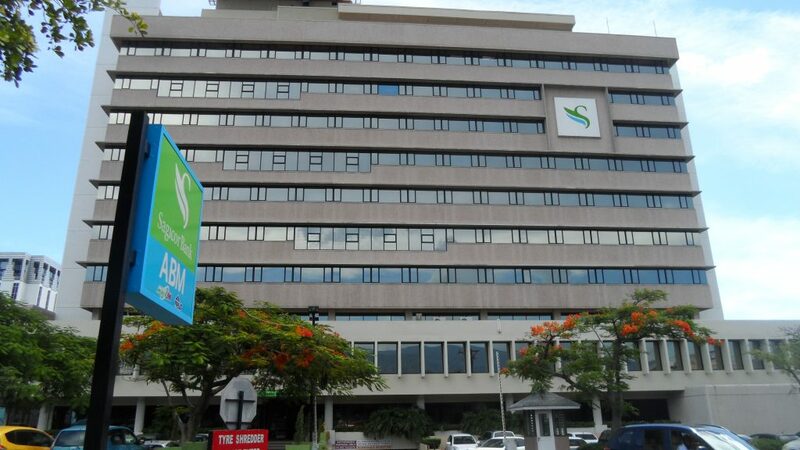 Earnings per share ended at $3.65 but was boosted by gains of $1.5 billion arising from consolidation of Sagicor Real Estate Fund. At year-end, shareholders’ equity rose to $74.3 billion from $68.5 billion at the end of 2017 while total assets jumped to $394 billion from $352 billion. 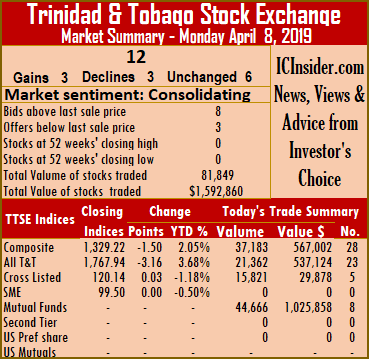 Trading on the Trinidad & Tobago Stock Exchange ended with 3 stocks rising, 3 declining and 6 remaining unchanged as the volume and value of trades dropped sharply from that of Friday. Trading ended with 12 securities changing hands, against 16 on Friday with investors exchanging 81,849 shares at a value of $1,592,860, compared to 582,066 shares for $13,484,840 on Friday. At the market’s close, Composite Index lost 1.50 points to 1,329.22. The All T&T Index rose 3.16 points to 1,767.94, while the Cross Listed Index rose 0.03 points to close at 120.14. IC bid-offer Indicator|The Investor’s Choice bid-offer ended at 8 stocks with bids higher than their last selling prices and 3 with lower offers. At the close of the market, stocks ending with gains| First Citizens concluded trading of 2,271 shares after rising 50 cents to $36.50, Prestige Holdings added 19 cents and completed trading at $7.81, with 500 units changing hands and Sagicor Financial increased 5 cents and ended at $8.70, after exchanging 289 shares. Stocks closing with losses| Massy Holdings fell 25 cents and closed at $53.05, after exchanging 900 shares, Trinidad & Tobago NGL lost 1 cent and completed trading 8,701 units at $29.49 and West Indian Tobacco shed $1.75 and ended at $97, with 64 stock units changing hands. Stocks closing firm| Angostura Holdings ended at $16, with 1,050 stock units changing hands, Clico Investments ended at $23, after exchanging 44,666 units, JMMB Group ended at $1.76, in exchanging 15,532 shares, Scotiabank traded 931 stock units at $63. Trinidad Cement settled at $2.60 with 5,000 shares changing hands and Unilever Caribbean concluded market activity at $26.30, after exchanging 1,945 shares. NCB Capital Markets will be providing investors up $50m in margin funding to assit with buying of Wigton’s shares in the IPO. 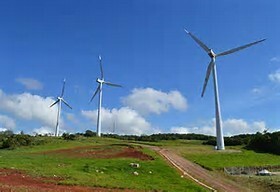 Investors in Wigton Windfarm initial public offer of shares will be able to access up $50 million in loan financing from NCB Capital Markets (NCBCM) to fund up to 50 percent of the purchase, NCBCM’s CEO Steven Gooden informed IC Insider.com. The Wigton IPO, is generating lots of interest, amongst Jamaicans, residing locally and overseas and should pull in around $6 billion before expenses for the sellers, PetroJam. It will be one of the larger issues, to hit the Jamaican capital market. In addition to providing margin funding to assist in purchasing the new IPO issue, NCBCM online portal, dubbed ‘GoIPO’ and created in conjunction with the Jamaica Central Securities Depository , will be available for their investors to use in making application for the shares. The application will allow investors with accounts at NCBCM, to easily fill out application forms as the system will automatically populate the form with the other information for persons with login access codes. 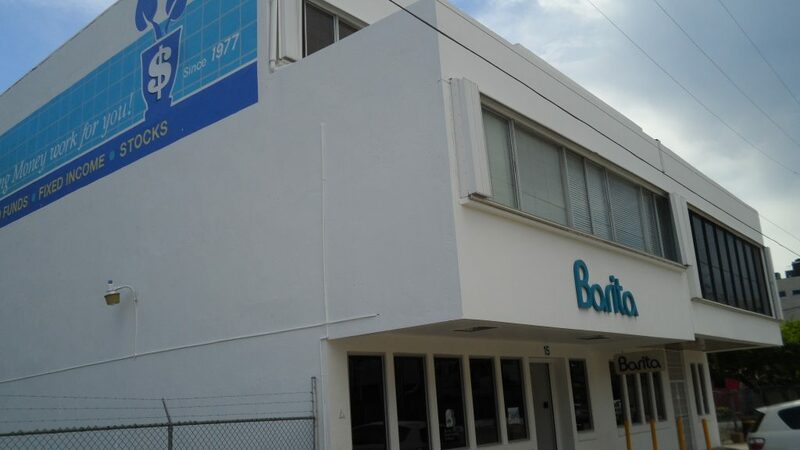 The GoIPO was born out of the major challenges that NCB encountered when they brokered the Wisynco IPO. Investors with login codes can use them to access NCB system and access accounts that will fund the application. The system will be show the Wigton IPO application from which the appropriate application form is to be fill out. The required information will be the sum being invested. The system will compute the number of shares being applied for and the applicant will identify the account that the funds will come from. Wigton IPO with propectus expected in a day or two. Persons having no login code will have go online and fill in name, JSCD account number and TRN and enter the sum they are investing and method of payment as well as upload a photo ID to go with the application. The new system will eliminate the need to visit a locations to deliver applications and significantly reduce errors associated with manual processing. Of the GoIPO solution, platform is encrypted, providing security and confidentiality to users, who can access the digital portal once they have a JCSD number. Gooden said, too, that as selling agents of the IPO, NCBCM possesses the largest distribution channel within the broker space and clients who do not wish to apply digitally are encouraged to complete and return their forms to NCBCM locations islandwide. 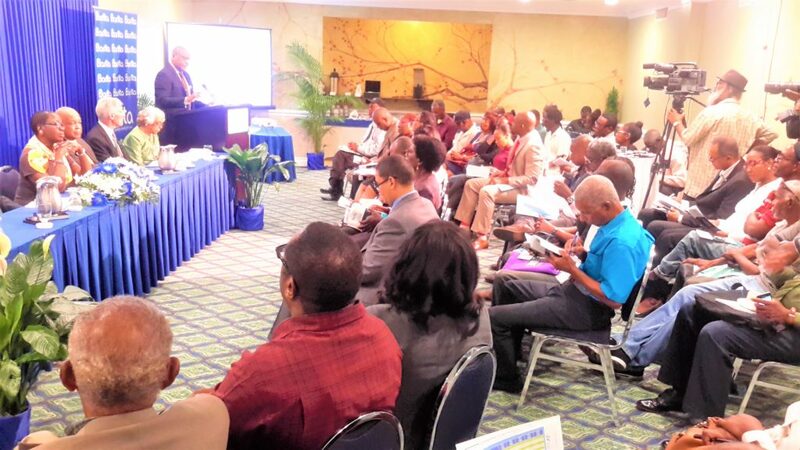 NCBCM say that investors can apply through the NCB system to apply for shares to go into other brokerage accounts. How the east was won? Annmarie Vaz winner of the East Portland seat. Anne Marie Vaz increased her party’s support by a stunning 58 percent, over the JLP’s haul in the 2016 General Election to win the East Portland by-election on Thursday with just 11 votes less than 10,000. At the same time, Damion Crawford only pulled out 5 percent more votes than was polled for the PNP, in 2016. The story gets increasing bad for the PNP and it is not just in this election. The writing was on the wall for years but poor candidature, by the JLP lent the view to many onlookers, that East Portland was safe PNP territory. The 2007, results with the PNP winning by less than 800 votes, should have sent a clear warning to them that things were changing rapidly. In this latest election, the number of new voters on the list, grew by 5.6 percent, but Crawford’s increase of 4.8 percent was less than the rise in registered voters. Looked at differently, he picked up just 354 votes more than in the 2011 elections or only 3.8 percent more. On a net basis, he garnered only approximately 25 percent of new voters, while Vaz got 75 percent. This is consistent with a pattern seen island wide since 1993 and is one that is not likely to change, anytime soon. The Labour party was able to get out their 8,000 voters of 2011 and add 24 percent more voters to it, in addition to commandeering the vast majority of new voters, the vote tally at the end of the preliminary count suggests. The results on the surface is a major about turn for the seat. Closer examination of the numbers for a longer period tells a clear tale. The huge 2019 increase is due to a below performance for the JLP in the 2016 elections, when the votes by the party sank by a hefty 22 percent and well against the national trend. The trend since the 1993 elections, suggests that the natural growth in party support should have seen them polling over 9,700 votes, just below the numbers she got in the latest polls. The data also points out that the trend is indicating that the JLP should have polled around 2,000 more votes than they did, this time around. Those voters are there in their corner based on the growth in support, reflected in the average gains in votes cast in prior elections. This bit of information is also reflected in public opinion voting survey data. Eppley Caribbean Property Fund SCC announced its intention to cross-list the cellular shares of the Value Fund (“the Value Fund Shares”) on the Jamaica Stock Exchange. The Value Fund Shares are currently listed on the Barbados Stock Exchange and the Trinidad and Tobago Stock Exchange and the believes that cross-listing the Value Fund Shares on the Jamaica Stock Exchange will enhance liquidity and make them available to wider universe of investors. The Board of Directors has authorized ECPF’s fund managers, Eppley Fund Managers Limited, to evaluate the process of cross-listing the Value Fund Shares with the support of ECPF’s attorneys, investment bankers and other professional advisors. If a decision is made by the Board of Directors to cross list the Value Fund Shares, Eppley expects that the cross-listing is likely to take place by the end of the second quarter of 2019 subject to any relevant regulatory approvals. Guardian Holdings jumps $1 to new 52 weeks’ high. 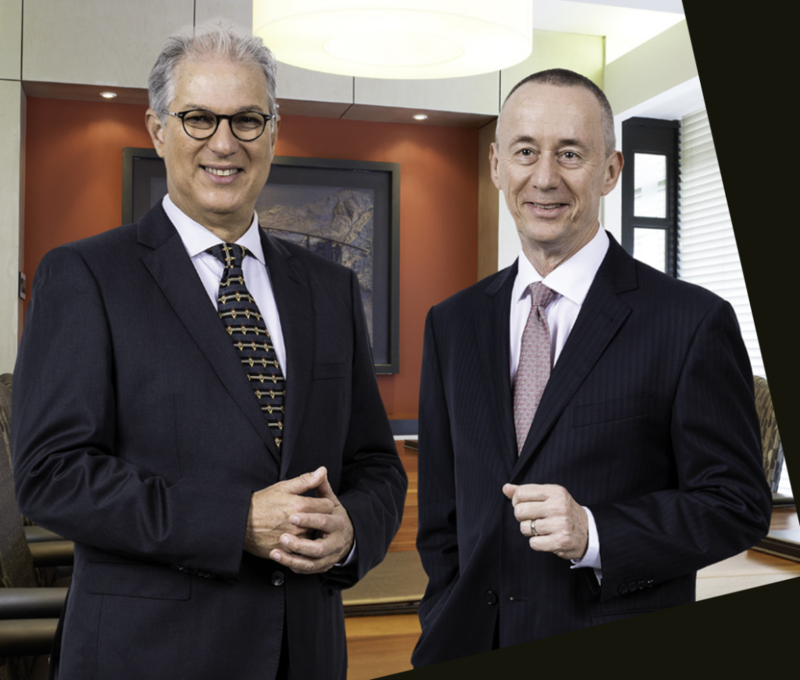 Profits at the Trinidad based Guardian Holdings, jumped an attractive 31 percent to TT$534 million above the TT$407 million reported for 2017 that is due to shareholders of the group. The results translate to earnings per share of $2.30 versus $1.75 in the prior year. “Insurance underwriting activities drove the performance led by the Life, Health and Pension business segment which had a stellar performance achieved primarily from improved persistency, expense management and improved product mix,” Henry Peter Ganteaume, the company’s Deputy Chairman, disclosed to shareholders in his commentary accompanying the results. Net Written Premiums by 6 percent to reach $4.16 billion but gross written premium rose by 7 percent to $5.86 billion. Net income from underwriting activities more than doubled from $403 million to $863 million. The deputy chairman went on to state, “The Property and Casualty business segment returned a satisfactory performance as it was spared major catastrophic events during the year. However, the persistent soft market conditions led to a marginal increase to Net Written Premiums. Also of note were the not-insignificant profits made by our Asset Management and Brokerage businesses. These two ‘segments’ hold promise to become important and non-risk exposed elements of our overall Group earnings profile over the relatively short term. NCB shareholders will be big winners in a successful Guardian acquisition. Net income from investing activities fell from $1,191 million to $982 million, driven primarily by volatility in Global equity markets, which resulted in a Net fair value loss of $12 million in 2018 compared to an exceptional gain of $246 million in 2017”. Operating expenses increased by 7 percent to just under $1.05 billion. Based on the 2018 performance, the directors propose a final dividend of 48 cents, which will bring the total dividend to 71 cents, an increase of 4 cents or 6 percent over 2017. Shareholders’ equity grew to $3.4 billion at the end December and total assets at $27.3 billion. Guardian stock closed at a 52 weeks’ high of $19 on the Trinidad Stock Exchange on Wednesday at a low PE ratio of 8.2 times last year’s earnings and no doubt even lower than 2019 earnings. If NCB financial gets approval for the acquisition of majority shares in the company, they would have picked up a gem at a very low price making the NCB’s investors the winners and the Guardian sellers, big losers. Major capital increase for Barita? If one of the resolutions to be put to shareholders of Barita Investments at the upcoming Annual General Meeting set for March 21 is anything to go by, the company is set for some major changes. According to the notice of meeting, shareholders are being asked, to approve a major increase in the authorized capital of the brokerage house, to 15 billion units up from 1 billion currently. 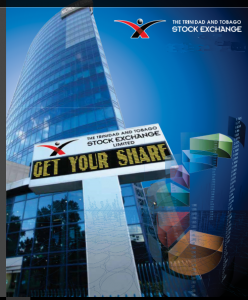 The increase will result in the creation of 13.5 billion new ordinary shares and 500 Million preference shares. The meeting is being asked to give Directors authority to dispose of the newly created shares in such manner as they think most beneficial to the Company. The company did not state the purpose of the added shares. The company by the end of March, will be issuing new shares to existing shareholders, following the approval of a right issue, 10 new share for 17 existing ones at $15.50 each. The proceeds of the rights issue will take the issued capital up by 262.28 million units to 708 million shares. At this level the shares will not be very liquid and the company will need to split the stock to help improve liquidity. Barita Investments shareholders seem poised to get a stock split sooner than later. would use of just 2 billion of the increased share capital, suggests that there is much more to the move than the annual report speaks to. This publication is of the view that one or more major regional financial institutions are likely to buy into Barita well ahead of the final quarter of 2019. The move would result in Conerstone, the current major shareholders reducing their percentage holdings. Barita could well go back to the market to garner funds from a wider cross section of investors and thereby increasing the number of investors in the company. At the end of December, Barita shareholder’s capital was $3.05 billion with total assets of $19 billion. The company reported profit of $108 million after foreign exchange and trading gains of $156 million up from a loss of $39 million in 2017.